The Bay Area Siberian Husky Club (BASH) is dedicated to the Siberian Husky Breed and provides a forum where Siberian enthusiasts can work and show their dogs as well as participate in a variety of fun activities. 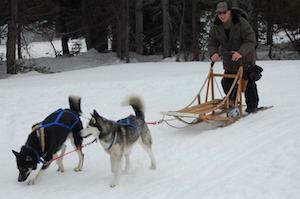 BASH Club members enjoy all kinds of activities with their Huskies. The club organizes instructional meetings, hiking, camping, and winter trips. 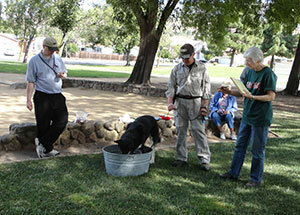 The club also has a specialty dog show, fun match, and parades to let everyone know that huskies are special. The club also sponsors a rescue effort to save Siberian Huskies that otherwise may be turned out on the street or face euthanasia in shelters. Founded in 1987, the efforts of those volunteering their time to Siberian Husky rescue in the bay area have been exceptionally successful—finding homes for the Siberians that we have rescued.